A new complaint was filed against a local pediatric dental chain, Smiles 4 Kids. The chain is managed by Dr. Justin VanBibber and owned by Lone Peak Management. The latest complaint was filed by the Washington State Dental Association with the Department of Health and the Dental Quality Assurance Commission. The complaint alleges the dental offices in the chain, only refer patients to their other practices for oral surgery or orthodontia. Dr. Chris Delecki is the president of the Washington State Dental Association. "They're failing to disclose the fact the patient has other options besides their self-referrals to their own managed practices," said Dr. Chris Delecki, President of the Washington State Dental Association. "Patients are often being asked to travel from Tumwater to Tacoma for their orthodontic care and these are Medicaid patients and for many of them transportation is one of the biggest things they face. he complaint includes an email apparently sent by the Smiles for Kids Regional manager to office managers. "Patients in your offices should NOT be given options as to where they would like to go for their wisdom teeth extractions -- referring patients anywhere else is sending OUR business and money away and is therefore, unacceptable." TACOMA – November 13, 2018 – The Washington State Dental Association (WSDA) has filed a new complaint with the Washington State Department of Health, alleging dental clinics operated by Lone Peak Management Group, LLC (Lone Peak) are engaging in dangerous and deceptive practices. The WSDA complaint is just the latest complaint against Lone Peak, which operates more than a dozen clinics in Washington state, specializes in pediatric dentistry, and serves a high percentage of low-income, Medicaid-eligible patients. The WSDA complaint was filed after research into Lone Peak practices. It alleges that the chain arranged a kickback scheme that generated nearly $170 for Lone Peak every time a patient was administered general anesthesia. Disguised as a “facility use fee” charged to the anesthesia provider, these payments far exceeded fair market value of the record-keeping Lone Peak provided the anesthesia provider, generating substantial additional profit for Lone Peak. Dentists and staff in Lone Peak offices also were directed to engage in a system of self-referral to affiliated clinics for specialty dental services like oral surgery and orthodontia. This system ignored patient preferences and in many cases resulted in families traveling significant distances to affiliated clinics when other qualified providers were nearby. Previously, Seattle’s KIRO 7 TV reported on another whistleblower complaint against Lone Peak, filed by a former office manager who left the company after refusing to follow directives from company managers to re-use dental mouthpieces that are intended for single-use only. Internal company emails cited in the whistleblower complaint show Lone Peak putting profits ahead of patient safety. In one email regarding the reuse of mouthpieces, a Lone Peak executive lamented the fact that “our expenses would go through the roof if we didn’t find a way around” the single-use requirement. Washington law prohibits corporations, including dental service organizations (DSOs), from practicing dentistry, which includes directing a dentist’s treatment plan; limiting or imposing requirements on how a dentists uses equipment or materials in the provision of treatment; or limiting or imposing requirements on the materials, supplies, instruments or equipment a dentist deems necessary to provide diagnoses or treatments consistent with the standard of care. Documents received by WSDA indicate that certain executives of Lone Peak may also have been involved with the Small Smiles dental chain DSO, and a number of Lone Peak dental offices formerly may have been Small Smiles dental offices. Small Smiles was included in a scathing 2013 US Senate report that found the chain performed unnecessary services and that its business model deceptively gave managers rather than dentists control over the clinics. The report also recommended that Small Smiles be excluded from participating in the federal Medicaid program. Small Smiles and its parent company, Church Street Health Management (CHSM) have faced litigation before. In 2012, Small Smiles paid $24 million to settle allegations of Medicaid fraud brought by the U.S. Department of Justice. And in 2015, Small Smiles agreed to pay nearly $39 million in claims for alleged “unnecessary, inappropriate, unsafe, and excessive dental procedures.” Church Street Health Management has since declared bankruptcy. The most recent complaints here in Washington also name Justin VanBibber, a Utah-based dentist who serves as the nominal head of the clinics engaged in the kickbacks and the mouthpiece reuse practice. He is listed as a practicing dentist on Lone Peak clinic websites in Washington, but the profile for his South Jordan, Utah practice lists him as a resident of Utah. The Washington State Department of Health has opened active investigations into Lone Peak’s and VanBibber’s practices. The Washington State Dental Association’s 4,400 member dentists are committed to solutions that prevent disease and ensure quality oral health for all Washingtonians. WSDA empowers its members to advocate for and provide optimal oral health care. HOUSTON, Nov. 2, 2018 /PRNewswire/ -- Samson Dental Partners, LLC and ImmediaDent of Indiana, LLC agreed to pay $5.1 million to the federal government, the State of Indiana, and a whistleblower dentist to resolve a qui tam case with fraud allegations, according to the legal team for the dentist. A settlement agreement was entered into among the U.S. Department of Justice (on behalf of the Office of Inspector General of the U.S. Department of Health and Human Services), the Medicaid Fraud Control Unit of the Office of the Indiana Attorney General, and Jihaad Abdul-Majid, DDS. The qui tam complaint alleged that the defendants engaged in illegal corporate practice of dentistry and various types of fraud, including fraudulent billing, excessive and unnecessary treatments of excessive patients, and a sustained pressure by non-dentists in management positions to place corporate profits over patient care by exerting undue influence on dental care decisions. Dr. Abdul-Majid, who will receive $925,000 plus expenses, attorneys' fees and costs, is represented by Charles S. Siegel, of Waters & Kraus, LLP, of Dallas; Daniel Hargrove, of The Hargrove Law Firm, P.C., of San Antonio; James R. Moriarty, of the Law Offices of James R. Moriarty, of Houston; and Joseph D. Satterly and Paul Kelley of Satterly & Kelley, PLLC, of Louisville, Ky.
Samson Dental Partners, LLC and ImmediaDent improperly billed for scale and root planing (deep cleaning) when they were either not performed or not medically necessary. ImmediaDent operates nine dental care practices in Indiana. Samson Dental Partners, LLC, headquartered in Kansas City, Mo., provides administrative and other support services to ImmediaDent. The case is "United States ex rel. Jihaad Abdul-Majid, et al. v. ImmediaDent Specialty, P.C., et al.," Civil Action No. 3:13-cv-222-CRS in the U.S. District Court for the Western District of Kentucky. The case was originally filed on Feb. 20, 2013 by Dr. Abdul-Majid. The federal government and the state of Indiana intervened in the case in September 2018. The lawsuit alleged violations Federal False Claims Act, 31 U.S.C. § 3730(b), and the Indiana False Claims and Whistleblower Protection Act, Indiana Code 5-11-5.5-4. The settlement agreement is neither an admission of liability by SDP and ImmediaDent nor a concession by the federal government and the state of Indiana that their claims are not well founded. The Hargrove Law Firm, P.C. Let me just say this is only the tip of the iceberg about this company. Below is the excellent report, by Alison Grande, that aired October 25, 2018 on KIRO7 News. The Washington State Dental Quality Assurance Commission is investigating after a whistleblower complaint accused a local pediatric dental chain of re-using dental tools. Lisa Walker quit her job as the office manager at the Smiles 4 Kids at Allenmore Hospital in Tacoma after she says the dentist overseeing the businesses, Dr. Justin VanBibber, told her to re-use disposable Isolite mouthpieces. "That we re-use the Isolites, he asked that I put them in the cold sterile and re-use them on patients and I refused," said Lisa Walker. The Isolite Mouthpiece package is clearly labeled "Disposable. Do not re-use. Re-use can result in the transmission of infections, pathogens." Isolite mouthpieces are used to keep the airway clear during a dental procedure. "It suctions out the blood, the saliva, pus, tooth decay, you name it -it keeps the airway free of debris," described Walker. "The worry for my kids and it was my worry for all kids is that, I mean we have hepatitis B, hepatitis C, there's HIV, I mean there's numerous numerous diseases and long-term illnesses that can be contracted through blood." Most dentists in the United States have not heard of the Massachusetts Dentists Alliance for Quality Care. We are a group of dentists who are passionate about private practice and maintaining an excellent standard of care in our profession and for our patients. In recent years, many of us have felt that organized dentistry’s advocacy for private practice has declined. In all fairness, not every dentist is in private practice. Many are working for dental service organizations (DSOs), academia, insurance companies, and other fields. 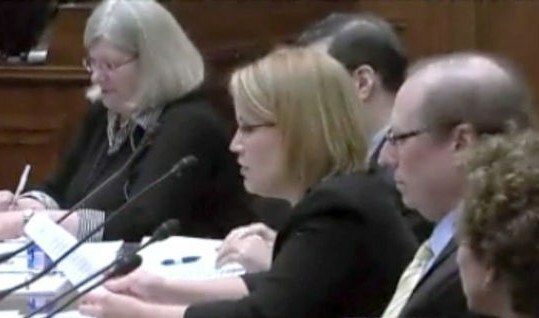 The ADA and state organizations represent all dentists, not just one special interest group. Last year, several dentists in Massachusetts decided to seek legal advice and petition our Attorney General in response to a contract received from Delta Dental of MA (currently called Total Choice PPO). Not only did we raise enough money to file a formal petition with the Attorney General, but we also formed a group that has grown to more than 60 members today. In July, we voiced our concerns to the Division of Insurance at a hearing regarding a “new fee methodology” proposed by Delta Dental that would automatically decrease reimbursements to the entire network of Premier providers in the state. To date, we continue to educate our legislators and advocate for private practice dentists, as well as mentor students and recent graduates. Although Delta Dental’s new for-profit Total Choice PPO was approved in our state, Delta continues to sell the non-profit Premier plan (96% of dentists in Massachusetts are Premier providers). In June of this year, it was announced that our state dental society decided to make a deal with Delta Dental of MA to cut all of the Premier dentists’ reimbursements by 10%. This 10% “recalibration,” a euphemism for lower reimbursements, will affect that 96% of dentists in our state. Conversely, the Total Choice plan that offers a larger 30% discount has not been less popular with employers in Massachusetts and has far fewer contracted participating dentists. Many dentists in our state understand these subtleties and were extremely upset by the decision of the leadership of the Massachusetts Dental Society, while other dentists may not be paying attention to these small details or fear retribution for getting involved. Now is not the time to sit back and let others figure out the details that affect the future of our profession. Do you recall what has happened to primary care physicians? Not only have they been forced to work increasingly faster by insurance companies, but the quality of patient care also has suffered as a result. This is especially important for the younger generation of dentists to understand, as they will need to work faster and longer hours to try to make a living with ever decreasing reimbursements and huge amounts of student loan debt. It is our hope that organized dentistry in our country will learn from the mistakes of the American Medical Association and try to slow the corporatization of dentistry and the reliance on dental benefit companies. We would like to see more support for the private practitioner members who, in fact, serve most patients in our country. The Massachusetts Dentists Alliance for Quality Care is continuing its work on behalf of our profession. We believe that by educating our legislators, we will have a stronger voice in our state government. We also believe there is hope for our future and welcome as many dentists who are interested in becoming part of this movement to join our group. Stand up, fellow dentists. It is time to make your voice heard. The time to make a difference is now! Dr. Tanzi, a graduate of the University of Maryland School of Dentistry, has more than 18 years of private practice experience. She started The Dentist at Hopkinton in Hopkinton, Mass, 15 years ago near the starting line of the Boston Marathon. Passionate about issues facing dentists and private practice, she is also a founding member of the MA Dentists Alliance for Quality Care, which advocates for private practice dentistry and high quality dental care for patients. She can be reached at jilltanzidds@hopdent.com. Szewczyk was first accused of illegally performing dental procedures in 2012. The District Attorney at the time decide not to pursue charges citing a conflict of interest since her husband was a Deputy Sheriff in Paulding. Apparently, Szewczyk posed as a dentist through her mini-DSO, County Dental Providers. She also is reported to have performed dental procedures in the homes of patients. At least one patient was sent to the hospital due to an abscess in his throat the size of a tennis ball. The investigation into Szewczyk dates to 2013, when the Georgia Board of Dentistry alerted the district attorney’s office to complaints about Szewczyk, who ran a business called County Dental Providers starting in 2011 that contracted with independent licensed dentists to come in and work on patients, Donovan says. The state board’s 2013 alert prompted a criminal investigation at the time that led to a single charge in Paulding County accusing Szewczyk of performing dental services without a license, the district attorney says. But on the DA’s recommendation, Szewczyk was enrolled in a pretrial diversion program that did not require her to enter a plea, and instead allowed for the charge to be dropped if she successfully completed the program. There are indications Szewczyk is associated with Heartland Dental on her LinkedIn page which has been removed. Additionally her picture appears on Group Dentistry Now blog. Heartland Dental Winter Conference, January 2018. B.A.D. is the acronym for Boycott Aspen Dental. We are a cause that primarily seeks to give a voice to the Aspen Dental victims who are not strong enough to speak out on their own. Alone we are faceless along with all the other Aspen Dental victims, but as a group we have a BEAUTIFUL face of courage with a BOLD name. We desire to help victims of Aspen Dental because we too are a handful of victims that have been hurt; some of us worse than others. Why has B.A.D. been created? B.A.D. was created after experiencing my own personal Aspen Dental horror story, and after reading endless so it seems, online negative reviews about similar Aspen Dental experiences. I saw a need to create a centralized website so people can see the magnitude of thousands of voices screaming out the injustices of Aspen Dental; people who have never had their dental horror story told much less appropriately addressed by the company who caused the damage (ADM). B.A.D. is not about one individual; B.A.D. is a cause that seeks to bring Aspen Dental Victims together. We are one voice and one face: Boycott Aspen Dental. How did you hear about Aspen Dental? Unfortunately that one visit will cost $5000 to fix the errors made by the staff that day. I’m still getting treated for this issue that was caused April/May of 2017, so I’m not sure if more will be added to that figure later. Did Aspen Dental attempt to compensate for your pain and trouble? until June of this year when I received a call from a staff member at Aspen Dental to say they’ve decided to refund my money. What? Over a year later they are doing this? So I get the check for $408, and then another call comes in a few weeks later to offer a settlement. Unfortunately they chose a figure I put out there a year ago, and which no longer covered all that I had gone through. Aspen Dental knew B.A.D. was soon to be revealed, and this apparently was their first vain attempt to stop it. What do you mean by “vain attempt”? They showed absolutely no concern whatsoever for all the pain I’ve endured. They attempted to entice me with a low ball offer, but what they failed to consider is I already had concluded and accepted that I wouldn’t be getting any money from Aspen Dental. The plans for B.A.D. were in place (March 2017 is when the idea was conceived), so I was very suspicious when I received the first call that came a year afterthe incident with no previous attempts on record made by Aspen Dental to rectify this. After they realized I wasn’t going to take the bait of the second call with the low ball offer, three ladies from Aspen Dental Management Corp offices in Syracuse, NY called me again to attempt to convince me to take the low ball offer. When that didn’t work, they hired an attorney with threats to close us down, and yes that low ball offer was included once more. What about the threat of a lawsuit? The day Aspen Dental sues its victim is the day the world will know that Aspen Dental is guilty of all they are accused of doing and more. This victim will never shut up. They don’t have the power to destroy B.A.D. like they would like us to believe. For example, if by chance they were able to have our websites removed with their money, well there was a day we didn’t have the Internet and word still traveled about upcoming events. We will revert back to sending telegrams if we have to, but B.A.D. will be around for months, years and decades to come. Aspen Dental we are not going away until you stop hurting innocent people. Does Boycott Aspen Dental have an attorney? We are suiting up for battle, let’s leave it at that. What is on the agenda of B.A.D. for the short term? Please visit our website www.boycottaspendental.com to learn of our current goals as we are planning our grand opening October 6, 2018. That’s when we will reveal our first fundraiser for an Aspen Dental victim to be chosen by member voting. We will also have our first Aspen Dental picket on that day (locations to be announced). What is on the agenda of B.A.D. for the long term? To tell as many people who will listen, Stay Safe; Stay AWAY from Aspen Dental! To have an annual picket at every Aspen Dental location until Aspen Dental STOPS preying on innocent people, often times low income seniors, people with disabilities and children of low income families. If you are an Aspen Dental Victim or know someone who is, please consider joining B.A.D. today! 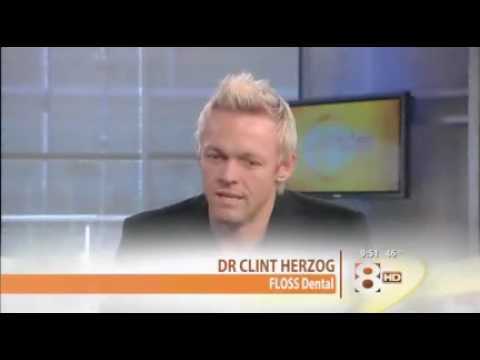 August 16, 2018 AUSTIN (KXAN) — A lawsuit filed within Travis County details allegations against Dr. Clinton Herzog from FLOSS Dental, including that he is not a licensed dentist. Plaintiffs claim Herzog collected hundreds of thousands of dollars from investors to open multiple locations for his dentistry in Austin, then never bought them and left the city. They also say the State Board of Dental Examiners suspended his license in 2015, but allowed him to practice under certain conditions. In 2016, Herzog voluntarily surrendered his license to practice, which the plaintiffs said they were not aware of. According to Texas State Board of Dental Examiners records, Herzog was accused of advertising that his offices had multiple "elite" providers for Invisalign services, but he was the only "elite" provider. Herzog is also accused of advertising dental services that "were free or discounted without disclosing the prices of associated services," according to his non-disciplinary remedial plan. See report and read entire article here. Is this the same Clinton Herzog? You decide. *Penality Group 1(usually Heroin, Meth or Cocain) Possession of less than one gram is a State Jail Felony which may result in confinement in a Texas State Jail Facility for a minimum of 180 days and maximum of 24 months along with a fine up to $10,000. Boston — A Quincy-based dentist who was banned from the state’s Medicaid program has been indicted in connection with an alleged scheme to fraudulently bill MassHealth under another dentist’s name, Attorney General Maura Healey announced today. Dr. Shahrzad Haghayegh-Askarian, age 43, of Norwell, was indicted by a Statewide Grand Jury on charges of Medicaid False Claims (2 counts) and Larceny over $1,200 (2 counts). Haghayegh-Askarian’s company, Dazzling Smile Care PC, located in Quincy, was also indicted on the same charges. An audit by the State Auditor’s Office uncovered Medicaid fraud committed by Dr. Haghayegh-Askarian. Following that audit, Dr. Haghayegh-Askarian agreed to a $300,000 settlement with the AG’s Office in 2015 and was terminated from participating in the MassHealth program. The settlement stipulated that she could only re-enroll with MassHealth if she met standards of compliance and instituted a monitoring program mutually agreed upon by Dr. Haghayegh-Askarian and the AG’s Medicaid Fraud Division. The AG’s office alleges that, despite her termination from MassHealth, from April 2014 to December 2017, Dr. Haghayegh-Askarian continued to treat MassHealth patients and billed those services under the name and identification number of another dentist, without his knowledge or authorization. That dentist contacted the Office of the State Auditor to report this alleged fraudulent activity when he learned of it in September 2017. The matter was investigated by Assistant Attorneys General Jay McCormack and Kevin Lownds, Investigations Supervisor Lisa Bailey and Investigators April Waterhouse and Deborah ElMajdoubi, all of Attorney General Maura Healey’s Medicaid Fraud Division, with assistance from MassHealth, the Insurance Fraud Bureau of Massachusetts, the State Auditor’s Office, and Massachusetts State Police assigned to the AG’s Office. Texas withheld reimbursement from several dentists due to a high suspicion of Medicaid fraud. Dr. Nazari, his clinic Antoine Dental and others argued they needed and deserved their money for all the honest and much needed work they had done on so many children with terrible orthodontic deformities and rotten baby teeth. They were the saving grace to the underserved population as they saw it. Being royally pissed, Nazari suesTexas and Xerox (NYSE:XRX) (ACS) demanding his money. The Feds (that is us, the US taxpayers) says “Hey Texas, we pay 50% of all you spend on Medicaid, and we want our money back! Texas sues Xerox, under whatever name Xerox was using at the time. The suit ends up at the Texas Supreme Court. Texas tells the Texas Supreme Court justices, it was no seeking actual damages from Xerox in a civil Medicaid fraud suit in a civil Medicaid fraud suit accusing the company of signing off on $1.1 billion in claims for orthodontic services without properly vetting them, and therefore the remedies it has sought aren't subject to proportionate responsibility calculations. Xerox says that it is wrongly facing sole liability in the matter, despite the fact it trained paid employees to basically rubber stamp “Approvals” as fast as they could. Additionally, in early testimony it was learned they trained the dentists how to game the systems. Yesterday, June 22, 2018, the Texas Supreme Court handed down its decision. Xerox, it is all on you guys. Pony up the $2 Billion! Now, doing business as Conduent Business Services (CNDT) reports are that Conduent’s “benefit wallet” is empy and they will probably settle for $500 Million. These associations are springing up in a variety of different states. Because of their distinctive smaller sizes, they are highly attuned to specific predicaments unique to a given state. Larger national groups may have multiple and conflicting agendas, which too often grind effectiveness to a standstill. These smaller spearhead organizations often serve as the initial testing ground for addressing and solving challenges. Many times, state dental associations will later pick up the banner and carry forth with their added weight and power of membership. Read Dr. Davis’ entire article here.